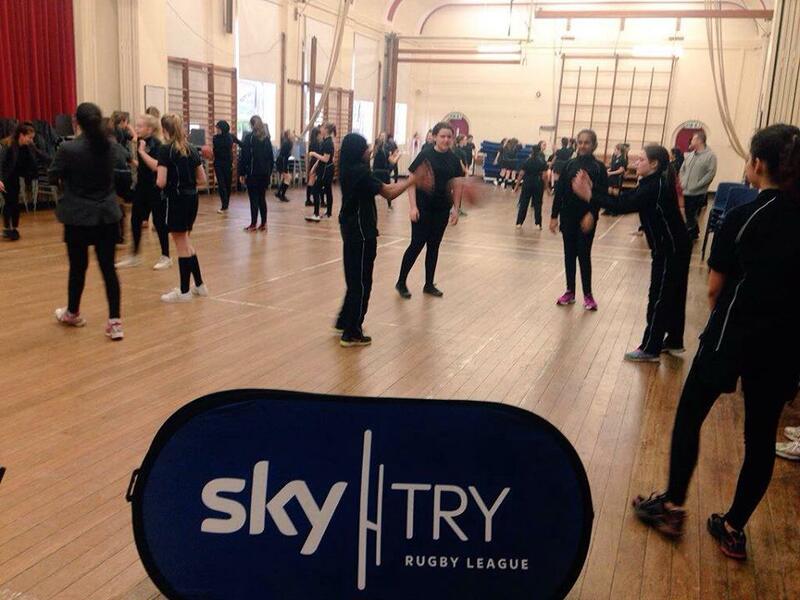 Girls give Rugby league a "Sky Try"
Following the success of the first girls Sky Try festival in November 2015 the SRD Foundation are now building on that success! We have now worked with 12 different schools across Salford, Manchester, Trafford and Bury in the programme. During the programme we we hope to engage over 400 girls in the Greater Manchester area. One of the most recent schools we have worked with in the Trafford area is Flixton Girls school. The Sky Try programme has not only given the girls an opportunity to try a new sport but to create a great partnership with the Foundation and the school. On a Thursday afternoon we have provided two taster session during school curriculum time and an after school club. This week on Monday 8th february we supported the school sports morning. From 9am till 11am we engaged over 120 girls all in year 8 in Rugby League touch rugby session. The weather was against us but we managed it. Well done to all of the girls who took part. The next Girls Sky Try touch rugby event all schools need to put in their diaries is Thursday 3rd March at the AJ Bell Stadium. The evenings events will run as follows. 4.30 the girls touch rugby tournament will start. Girls will play 3/4 fixtures then we will have a play off for 1st/2nd and 3rd. 7.30 we will take you to your seats to watch the Salford Red Devils V Warrington Wolves SuperLeague fixture. Second half - Home time. If you would like to enter your school into the tournament get in touch with Sara Davis at the Foundation.